Yum! I love fresh watermelon. 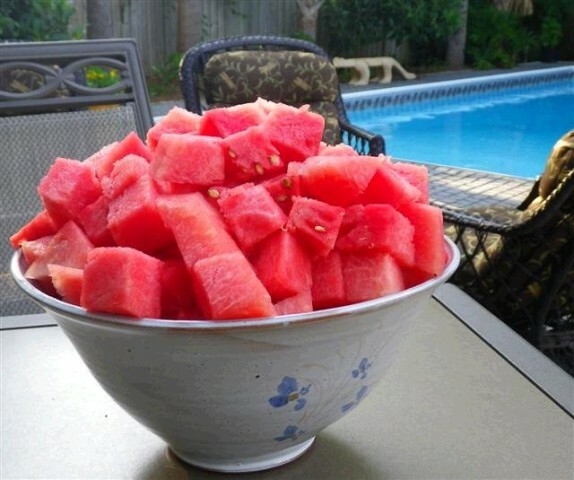 Love fresh watermelon! It just doesn’t taste the same, buying one in mid-winter in the store. And, am I the only one who almost swoons at the smell of it?